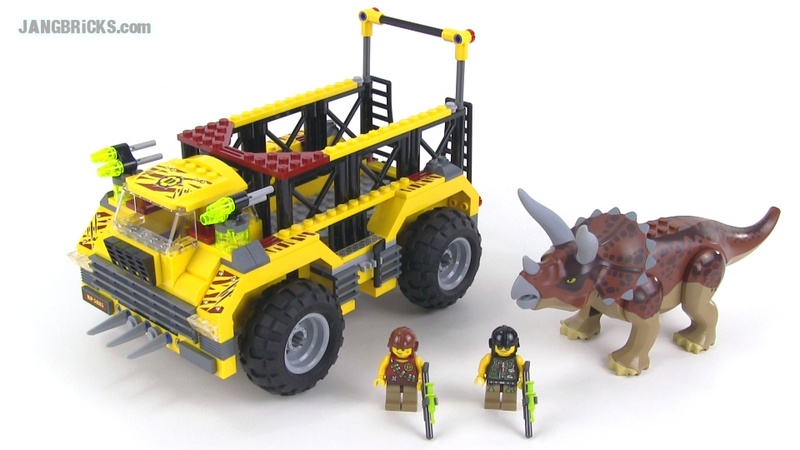 Here's another of the 2012 LEGO Dino sets I picked up on clearance from the local TRU a couple months back. I like this one a good bit better than the last. The mighty Triceratops is on the rampage and headed straight for the city! Fire the tranquilizer weapons, lure it into the cage and load it onto the truck before it reaches the city and causes mayhem!